We are pleased to announce our 12th Anniversary! 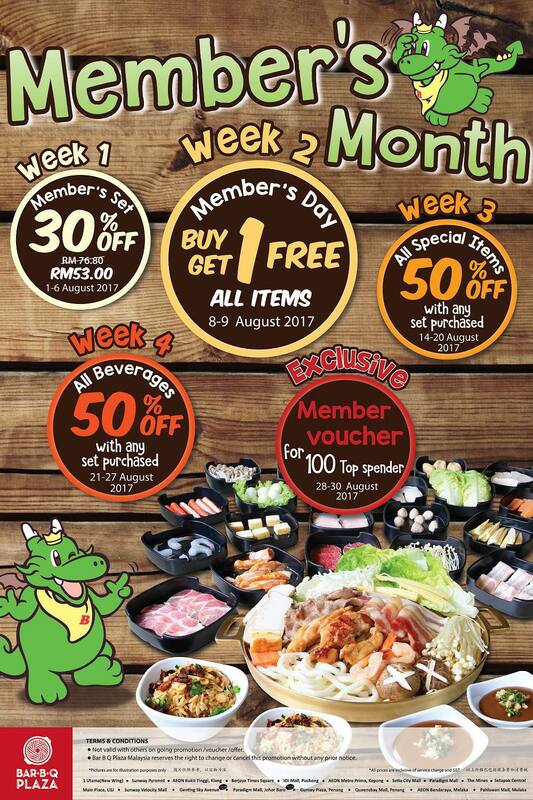 While making this anniversary special, we have created Member Lover Month with weekly bonus. Exclusively for our members! Not valid with other on-going promotion / voucher / offer. Bar B Q Plaza Malaysia reserves the right to change or cancel this promotion without any prior notice.